It used to be the case that if a Westerner aspired to gain acceptance in the Arab world, he would express views that were deeply critical of US policy. Not any more. That same Westerner may now have to have an answer not for why the US has intervened, but for why the US has not intervened enough. This is certainly the case in Syria, where oppositionists prayed (unsuccessfully) for a US strike on Assad. 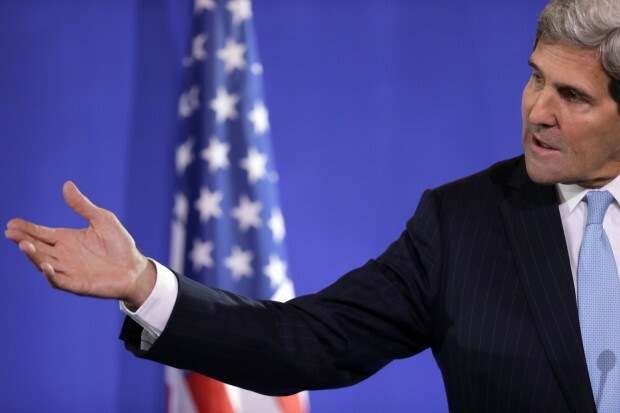 It is also the case in Egypt, where both opponents and supporters of deposed Islamist president Mohamed Mursi blasted Obama for not taking their respective sides. And across the sectarian divide, the US is blamed for supporting one side against another, with Sunnis in Iraq saying the US is propping up an authoritarian Shi’ite regime. It would appear that one of the main outcomes of the Arab uprisings is that they have internalized politics by opening up new spaces for competition between rival elites. With the prize being nothing less than the capture of the state, it is no longer considered taboo to solicit Western support, even for Islamists. In the new power challenge dialectic, the benefits of foreign patronage far outweigh the costs of ideology. Ultimately, it must come down to the US president to assess who to support and who not to. Proud of his record of getting his country out of wars and keen not to get sucked into new ones, Obama is understandably wary of indulging the stream of Middle Eastern petitioners at his doorstep, each employing the language of freedom to draw the US back into the region. How else could we explain the confused response to Mursi’s ouster, or the lack of coherent strategy on Syria, or the often counter-productive policy towards Iraq? Granted, humanitarian principles do not always sit well with realistic assessments of US national security interests, but this is only one part of the story. The other is that the petitioners, Arab elites of one form or another, are almost always driven more by opportunity than principle. The idea that they should ever adhere to the same exacting standards of justice and selfless do-gooding that they expect of Western leaders is so fanciful as to induce whoops of derision. Such elites are unlikely to bring about meaningful and well-ordered change commensurate with the considerable political capital that would need to be invested by the West to support them—post-Saddam Iraq being the case in point. If the disingenuousness is not bad enough, there is the ingratitude. USAID, the foreign aid arm of the US government, has paid over USD 1 billion in humanitarian assistance to Syria, but you wouldn’t know about it if you were following media outlets controlled by the Syrian opposition. The reluctance to admit to Western support, marked against a propensity to play up aid from Arab countries, shows that for all the blood and treasure invested in the Middle East, “thank you” remains the hardest thing to say. Fail and it is America’s fault for not supporting you enough; win and it is the people who have done it. In many ways, the problem is that the rise of a more pragmatic view of Western power in the Arab world has not been accompanied by a set of ideas that legitimizes anything beyond a short-term exchange of interests. It is US and EU hard power that power-challengers seek to harness and, as such, dealing with the West is often portrayed as nothing more than an unpleasant chore. Doubts like these over the worthiness of another military intervention in the Middle East must have contributed to Obama’s decision to hold back from bombing Syria. The White House has instead opted to play Putin’s game of decommissioning Assad’s chemical weapons stockpiles and working towards a negotiated settlement at Geneva II. The concern in Washington is preserving Obama’s legacy and what remains of his credibility, even if it comes at the cost of keeping Assad’s regime afloat. A cynical ploy by a risk-averse president, some have said—and they are quite possibly right. But in a region where cynicism is a modus operandus, why expect any different? In Aleppo, the overriding concern is about something altogether more pressing: salvaging a popular revolt that has gone hideously wrong. With a third of Syrians displaced, whole cities in ruins and Al-Qaeda running amok, the situation has turned into a nightmare. “Only God and America can end this,” one distraught cleric told me. He’s not far wrong, but in the name of what and for the sake of whom is far less certain. “Freedom for an Oxford don . . . is a very different thing from freedom for an Egyptian peasant,” said that most eminent of Oxford dons, Isaiah Berlin. Is he right? Does the Egyptian peasant demand a different sort of freedom than that of an English professor? At no point has this question exercised the minds of scholars and commentators more so than at present. Ever since Mohamed Bouazizi’s act of self-immolation, the matter of what Arabs want has become a central feature of the global debate. Yet there is little that is known for certain apart from a general aspiration to be in a state of freedom—hurriya in Arabic. What that means for the Arabs on the streets of Cairo, Tripoli or Sana’a is wide open to interpretation. Those of a Western disposition would tell you that it means to live in a secular democracy, while an Islamist would argue that true freedom can only be achieved by way of a state that applies the Shari’a. There is little consensus among the Arab political classes on the definition of “freedom,” in no small part because they have not yet settled that most elemental question of politics: that of political authority. As Berlin himself put it, “‘Why should I (or anyone) obey anyone else?’ ‘Why should I not live as I like?’ ‘Must I obey?’ ‘If I disobey, may I be coerced?’ ‘By whom, and to what degree, and in the name of what, and for the sake of what?’” Convincing answers have not been forthcoming. The result is has been a blanket of pessimism and foreboding that has descended on the Arab world as “revolutions” have given way to conflict and chaos. “When ideas are neglected by those who ought to attend to them,” Berlin warned in the 1950s, “they sometimes acquire an unchecked momentum and an irresistible power over multitudes of men that may grow too violent to be affected by rational criticism.” Is this not what troubles the Arab intellectual today? The uprisings may have launched a thousand political careers, but they have not produced a unifying intellectual movement that defines the popular will in the same way as the philosophes did for the French Revolution. There is much that is indefinite, and it is in the indefinite spaces that the power-seekers of Egypt, Tunisia and so on now quarrel, clothed, as they often are, in the language of freedom. That it is the language of “freedom” and not anything else is significant. But as Berlin argues in Two Concepts of Liberty, the term is heavily nuanced and can serve as much to emancipate as to enslave. Communism may not have survived the last century, but its underlying account of what freedom is lives on through a host of ideas that have dominated Arab political culture for decades. Whether it be Arab nationalism or political Islam, insofar as these ideologies maintain that the freedom of the social whole—be it a nation or a body of believers—to be of a higher value than that of the individual, they can be said to espouse a vision of “positive freedom.” Communism promised the proletariat the freedom to achieve collective self-realization as a class, while Arab nationalism promised to do the same for a linguistic group, as a sovereign people in a world of sovereign states. “Freedom to” contrasts with “freedom from,” the latter of which is merely the absence of coercion or interference by others. In the West, political freedom has come to mean this “negative,” individual liberty. However, across the Middle East, calls for the pursuit of ideals exterior to one’s self—“positive freedom”—appear to growing louder and louder. In Tunisia, Libya, Egypt and Syria, Islamists are on the march, promising their peoples the freedom to become great once again, despite the fact that many of the dictatorial regimes that were overthrown relied chiefly on the same type of collectivist ideas for legitimacy. The ideological soil from which Arab democrats hope to cultivate freer societies could hardly be less fertile, and yet what is expected to emerge is something resembling a Western-style liberal democracy, complete with a free press and respect for human rights. How one intellectual tradition can give rise to a political system that emerged out of another quite distinct tradition remains one of the great paradoxes of the Arab Spring. Those who have already written off the uprisings as unmitigated disasters will say that what the “Arab street” really wants is just another dictator, only this time with a beard. But there is another explanation, which says it has something to do with an Arab propensity to hold simultaneous ideas that are not easily reconcilable. Many in the early part of the last century adopted the slogan “modernity and tradition” (al-asala wal mu’asara) as a cure-all for several centuries of slumber, while the Ba’athist call for “Unity, Freedom, Socialism” a few years later served much the same purpose. Could it be that, given the deep confusion in the Arab public’s mind and its lack of decisive quality, what the Egyptian peasant thinks he wants is both individual and collective freedom? Quite possibly. What is more certain is that, at least with “negative” individual freedom, it is the same type everywhere, whether in Cairo or Oxford, because the objective wants and desires of all human individuals can only be one and the same. Where there is a difference it is not in kind but in quantity, and that is a question of horse-trading between civil society and the government of the land. No entity has shaped Arab attitudes to freedom more so than the state. But as Moroccan historian Abdallah Al-Arawi notes, the Arab state has never been associated, in its emergence and development, with the idea of political liberty in its Western sense. “Liberty (hurriya) in Islamic thought has a psychological/metaphysical meaning, whereas in Western thought it carries mainly a political and social meaning,” he wrote. Indeed, the first recorded use of the word “liberty” to denote “political freedom” dates to the year 1798, when Napoleon Bonaparte issued a declaration in Arabic addressing the Egyptians on behalf of the French Republic “founded on the basis of freedom and equality.” One can then speak of a tension between the concept of liberty and the concept of the state in traditional Arab–Islamic society: “The more extended the concept of the state,” Arawi argues, ”the narrower the scope for freedom.” That is why Arab nation-builders in the modern era failed to entice the Arab citizen into regarding the nationalist state, created in the European image, as a manifestation of a general will or of public ethics. Instead, Arab states are to varying degrees obsessed with power and strength, “but lack the necessary moral, ideological and educational supports.” The result, argues Arawi, is that the state remained “alien” in relation to society, feared but unloved. Faced with criticisms over his trampling of political freedoms, in 1961 Nasser set out to explain what he understood by the word “freedom”: “There can be no political freedom in this nation without there being first social freedom,” he declared, “because social freedom is the basis on which man becomes free. Political freedom has no meaning if man is not free from feudalism, capitalism and monopolies.” Herein lies the problem. Nasser was an angry young man who felt humiliated by Israel, European colonialism, and by a redundant upper class of indolent pashas and effendis. After capturing power, he embarked on an ambitious programme of nationalization, centralization and industrialization, waging a battle to transform the whole of society in spite of itself, to create a more modern and more assertive state that he and his fellow Arabs could be proud of. And because this rapid pace of transformation required a new social ethos, what transpired was a deliberate confusion of values—an ideological sleight of hand by Nasser—in which the limited degree of “negative” political freedom that Egyptians had previously enjoyed was replaced with Soviet-style “positive” freedom that prioritized collective national goals. 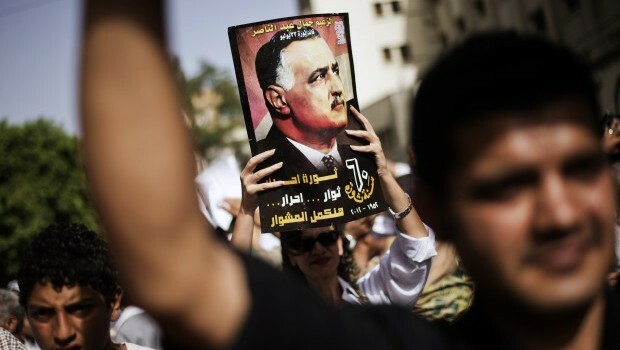 The underlying motive for leaders of Nasser’s generation was therefore not the search for political freedom at all, but a search for status by a people wishing to escape a position of perceived inferiority to which colonialism and its trappings of democracy and capitalism had consigned it. And so the term freedom (hurriya) became loosely interchangeable with national independence (istiklal), justice (‘adala), and dignity (karama), blurring their meanings together. For Nasser and his disciples (Mubarak, Saleh, Gaddafi, and so on), freedom was the freedom of the Arab to be taken seriously. Inasmuch as the recent uprisings were a conscious rejection of the Nasserite model of government, they were also a rejection of that poorly defined freedom that came along with it. Not by chance did republican regimes collapse while monarchies did not. Several factors appear to be at play. The liberalizing influence of satellite television channels on Arab political culture from the mid-1990s onward helped to popularize “freedom,” “democracy,” “elections,” “human rights” and other words that engendered a liberal consciousness. There was also the uncomfortable adjustment to market capitalism that many of the populist republics had to endure, which resulted in a contraction of the state’s social base and a widening of the gap between rich and poor. For paternalistic regimes that prided themselves on being able to provide for their people, this proved particularly damaging. But there is also another factor, one that shattered the foundations of the radical republican dream. The humiliating defeat of Saddam Hussein proved to be the crippling blow because he, more so than any other Arab dictator, took the Nasserite model to its logical (and rather absurd) conclusions. But far from elevating the status of Iraq in the rank of nations, he brought disaster upon it in a series of misadventures that destroyed his country’s prestige, economy and society—exactly the opposite of what the Nasserite model was meant to achieve. His demise underscored the moral bankruptcy of a system that suppressed humanity’s empirical needs and desires to a transcendent and controlling “self”—a bloated bureaucracy no less—which manipulated and crushed the individual until he had lost all agency. Saddam’s undignified end was not only the final nail in the coffin for a deeply authoritarian system of government, but also for the vision of freedom on which it was based. One of the great tenets of the post-Bouazizi era is that what Arabs want is democracy. In an earlier generation, similar pronouncements were made about Arabs wanting nothing more than the liberation of Palestine, or socialism, or the nationalization of oil. General assumptions such as these risks pigeon-holing Arab needs based on whatever slogan happened to be fashionable at the time. Isaiah Berlin, for one, saw no necessary connection between freedom and democratic rule. “The answer to the question ‘Who governs me?’” he wrote, “is logically distinct from the question ‘How far does government interfere with me?’” Indeed, a democracy may deprive an individual of many liberties which he might otherwise enjoy in some other form of society. Present-day Egypt serves as a warning against confusing democracy with freedom. The country’s rulers may have been elected through a free and fair vote, but they have been unwilling to dismantle the authoritarian state against which the youths of Tahrir Square ranged themselves. 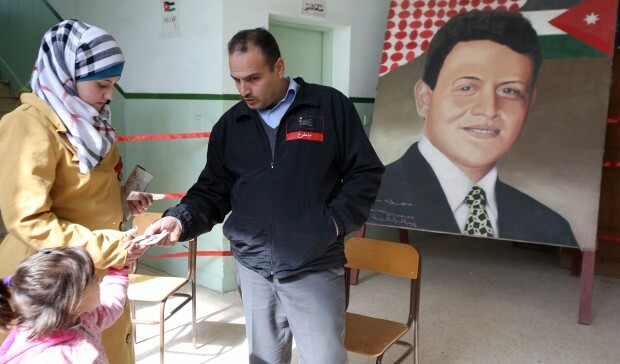 “That authoritarian conception of the state remained entrenched regardless of the differing ideologies and motivations of those who ruled,” wrote commentator Jack Shenker, “from colonial officials to the post-1952 military dictatorship, from Hosni Mubarak’s kleptocrats to the army junta that managed the so-called ‘transition’ to democracy,” and now arguably to the Muslim Brotherhood. So what really has changed in the new Egypt? Activists continue to be imprisoned, NGOs hounded, voluntary associations criminalized and women victimized, while contrived identity politics dominates the political space. Without an agenda to enshrine individual liberty—that is, to redraw the boundary between public authority and private life decisively in favor of the latter—the promise of the revolution will remain unfulfilled. The Arab Spring may have opened a Pandora’s Box of unresolved prejudices and vendettas, but it has also broken open the box containing Arab individualism, which so far has not expressed eloquently, but it is there nevertheless and cannot be put back in the box. It is the natural counter-reaction to the authoritarianism of the Nasserite republics, and it represents the latent energy that has sustained an irresistible drive for change. This is manifesting in various ways. Political scientist Olivier Roy has written extensively about the “diversification and the individualization of the religious field,” and how this has helped bring religion back into the private sphere and exclude it from government management. In politics, too, this process is taking place, albeit with some unexpected results: a study by an Egyptian social scientist shows that voters in a village in Fayoum chose the Salafists over the Muslim Brotherhood partly because they came across as less monolithic and centralized. Arab political culture might still be dominated by collectivist and statist ideas inspired by “positive” visions of freedom, but these are increasingly being used simply to legitimize what is blatantly a free enterprise agenda aimed at creating diversity and meeting individual tastes. Thus the Salafists of Egypt will talk about an Islamic state, but what they really appear to be interested in doing is opening profit-making TV channels, segregated coffee shops and alcohol-free hotel resorts. The idea that a state—any state—can hope to solve society’s ills in the coming decades is declining in the public mind and giving way to a quasi-libertarian vision that accommodates different lifestyle choices within a politically neutral, though not necessarily fully democratic, framework. Consequently, the monarchies have tended to recognize society and its constitutive groups and have not sought to supplant them as the populist republics had done. Attachment to family, kin, neighborhood and community, observance of custom and tradition, an adherence to a collective faith and a general nostalgia for the past: this is the “organic” ideology on which all Arab monarchies are established. Indeed, authority in monarchical states can said to be more “social” than “political,” more cultural than coercive. This, in large part, explains why revolution has not taken place in Jordan, Morocco or Saudi Arabia. Post-Arab Spring “democracies,” take note. Exactly a decade after the US invasion toppled Saddam Hussein, sectarian tensions are again threatening to turn back the clock in Iraq. The trigger this time was the storming of a Sunni protest camp in the northern town of Hawija by government forces that left 23 dead. Not without some justification, Sunni resentment at the perceived discriminatory policies of the Shi’a-led government has been bubbling away for some time. This led to the launch of a Tahrir Square-type sit-in movement that demanded the release of female prisoners and the repeal of the country’s anti-terror law. But as in Syria, what began as a largely peaceful protest threatens to spiral into a violent and overtly sectarian conflict. Already, the talk is of “toppling” Maliki and creating a tribal army, the so-called Army of Pride and Dignity, to protect Sunni areas. This threatens to resurrect the insurgency that was supported by the same tribal leaders who are now challenging the Iraqi prime minister. Peaking around 2006, the insurgency did not achieve its stated goal of forcing the US out (or its less-stated goal of recapturing the Iraqi state from the Shi’as), but it did succeed in traumatizing a generation of young Iraqis and turning large swaths of central and western Iraq into the badlands that Al-Qaeda’s Islamic State of Iraq calls home. It also managed to exacerbate Sunni feelings of marginalization by precluding the emergence of an effective political leadership that could advocate for the Sunni interest in the new Iraq. The April 20 provincial elections are a case in point. Excluding the Kurdistan region, the elections were held in all of Iraq’s provinces except two: Sunni-majority Anbar and Nineveh. During the election campaign at least fourteen candidates were assassinated and numerous car bombs exploded in what appear to have been coordinated attacks designed to disrupt the vote. Having been denied the right to elect their own representatives, the citizens of Anbar and Nineveh have little recourse but to fall back on the self-appointed tribal leaders whose lack of political judgment has embroiled them in one unwinnable war already. The Shi’a hold on power in Iraq is now formidable, but with Iran’s proxy in Syria weakening and a shift in the regional balance of power appearing imminent, Sunni leaders sense an opportunity for another showdown with the Shi’as. But while some brag about humbling the “Safavids,” others call for more modest goals: self-governing rights not unlike those of Iraqi Kurdistan. Under the constitution drawn up after the US-led invasion, each province or group of provinces is entitled to create a federal region if it wins enough votes in a referendum. Predominantly Sunni Salahuddin province is currently pursuing regional status. “Sunnism is our slogan and a region is our goal,” senior cleric Taha Hamed Al-Dulaimi told demonstrators in Anbar in a video on his website. “Do not scatter your demands,” he instructed. But scatter they shall. All of the candidates assassinated in the lead up to the elections were Sunnis, a number of whom were from the Al-Iraqiya coalition headed by Iyad Allawi, the secular former prime minister. He, more than any other political figure, represents the Sunnis’ most likely prospect of winning a real stake in government. His campaign for next year’s parliamentary elections has been weakened not only by intimidation from militant factions, but by high-level defections to rival coalitions of a more sectarian hue. For too many Sunni politicians, playing the victimization card has become the only political program they know. It may win them votes, but once in power they lack the competence and collective will to do anything about it. And while some have been chased out of the country for standing up to the prime minister, others have quietly been co-opted with ministerial portfolios and generous government stipends. Many of these individuals will seize on the current troubles not to guide their own community out of danger, but to negotiate better terms for themselves with Maliki. 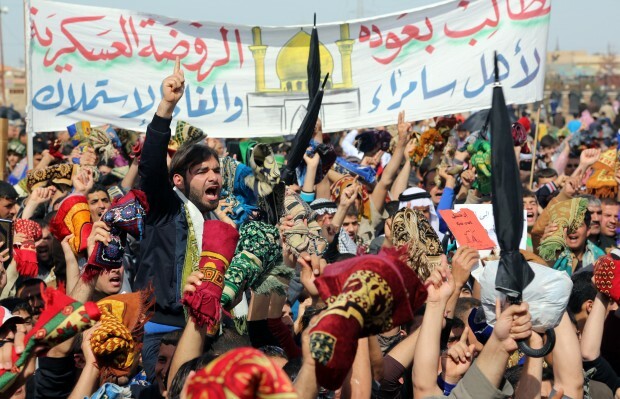 Even away from the Green Zone bubble, Sunni group solidarity appears shaky. The Awakening Council’s militia—composed of anti-Al-Qaeda Sunni tribesmen in Anbar province—has sided with Maliki and has ordered its co-religionists to “do what it did in 2006.” In other words, to take on and defeat another insurgency. Regardless of the scope of Sunni goals or the methods they employ to achieve them, the absence of a united and democratically mandated leadership limits the chances for success of a Sunni revolt against the Shi’a order in Iraq. The fear is that it will be a rerun of the 2004–2007 rebellion that ended so disastrously, and this time there will be no US military to blame or to cushion the blow. Defeat will be total and abject, and the stakes could not be any higher. The recent elections in Jordan, held amidst a boycott by the main opposition parties, have fuelled talk of a missed opportunity. The argument goes that a toothless parliament, composed mostly of loyalists elected by an unfair electoral system, will be unlikely to provide a legal and democratic channel for dissent, leaving the opposition no option but to resort to the street. Indeed, recent protests over price hikes have led some observers to speculate that Jordanians have grown wary of the king and are, like their neighbors to the north, ready for an uprising. Others concede that a full-blown uprising is unlikely, but that sweeping political reforms are urgently needed to avoid serious instability in the future. The side that advocates reform has, by and large, dominated the debate on Jordan. But does King Abdullah II really need to reform so quickly and so deeply? A little-publicized incident from the northern town of Ramtha suggests that he can afford to take his time. In November 2011, twenty-year-old taxi driver Najm Al-Azayza was arrested by Jordanian military police on suspicion of smuggling arms across the nearby border with Syria. After four days in custody, the family of the young man were informed that he had “hung himself,” and were instructed to collect his body from the local mortuary. What followed was a riot that saw the Amman–Damascus highway closed and a police station and municipality building burned to the ground. The clan to which the young man belonged demanded justice, accusing the authorities of torturing their son to death. What followed could so easily have been a re-run of events in Dera’a, Syria. Eight months earlier, similar circumstances in that city involving police brutality resulted in a nationwide uprising that continues to this day. Instead, Awn Al-Khasawna, then prime minister of Jordan, intervened and ordered an immediate investigation by the country’s chief coroner. When that failed to pacify the townsmen, it fell to King Abdullah II to settle the matter in person. The officer accused of the torture was arrested, compensation was promised and calm restored to the town. While acts of royal magnanimity alone may not be enough to stave off future internal instability, they do underscore a number of key lessons that Jordan watchers will be wise to take on board. The first is that whatever mistakes agents of the state commit in their dealings with ordinary people, in Jordan the king is still seen as the ultimate guarantor of justice. That, in a clan-based society, is hugely important in affirming his legitimacy to rule over the kingdom. The second is that the government has grown accustomed to handling outbursts of popular anger. Because Jordan is not a repressive state, and because the security forces there tend to tread lightly when compared to their neighboring counterparts, demonstrations and calls for reform are nothing new. At times, disturbances have resulted in real and immediate reforms, such as during the April 1989 food riots that led to the resumption of parliamentary politics. Most of the time, protests do not end in fatalities and local grievances are settled within the community through civil society networks. The moderation of the Jordanian political system helps to prevent sparks turning into fires. Jordanian monarchs are not stubbornly resistant to change, but they are resistant to change where significant challenges to their authority exist. Given the civil war in Syria, the rise of the Muslim Brotherhood in Egypt, and growing instability in Iraq, it would seem uncharacteristically enterprising for the Jordanian monarch to embark on a program of deep political reform at this time. King Abdullah II can take heart from the fact that the demands of recent protests have been mainly economic, and that the Islamist-dominated opposition remains weak and splintered. Despite high fuel prices, the Jordanian middle class does not object to subsidy reform as long as it is offset by greater inward investment. There is still some ground to cover in the war against high-level corruption, but with the conviction last year of the former head of the intelligence directorate, it appears that a serious start has been made. The impression in Amman is that the king will deliver reform at a pace congruous with wider developments in the region, but at least he is listening. If there is one thing that can be said for certain about the Arab Spring, it is that monarchies have fared a lot better than republics. Opinions differ over why that is. Cultural legitimacy and institutional statecraft do make monarchies more stable than republican dictatorships. More cynical observers have cited oil security and geopolitical stability as more tangible explanations for why uprisings have not erupted in Riyadh or Rabat. Amid this debate, there is a less perceptible factor that has been largely overlooked, and it has much to do with the way states manage popular expectations. What regimes in Tunisia, Egypt, Yemen, Libya and Syria all had in common was that they emerged at a time of high optimism, when Arab nationalist republicanism was at the forefront of progressive politics. At the time, Arabs believed that self-determination could only be realised by sweeping away regressive internal forces through top-down revolution and by keeping out malign foreign interference. Those were the heady days of Nasserism. The Nasserite republic in Egypt offered countries in the region a model to be emulated. In return for surrendering certain freedoms, including the freedom to elect one’s government, a military elite guaranteed the people stability and security, as well as universal education and healthcare, cheap food and jobs for all. What was also promised was dignity. The Nasserite-type republic swore to restore Arab pride by nothing less than victory on the battlefield. Stretching the laws of sociology and economics to breaking point, the Nasserite-type republics promised so much but delivered little. As decades dragged on, people became disillusioned with what they saw as a case of diminishing returns. The death knell for the Nasserite-type republic came on 9th April 2003 when US forces invaded Iraq and, in swift and humiliating fashion, unseated Saddam Hussein, the ruler who more than any other took the Nasserite model to its most brutal and absurd conclusions. But by then, similar regimes had already begun reverting to a system of government reminiscent of the ancien regimes that they had overthrown in the 1950s and 60s. Whether it be hereditary leadership or adoption of free-market capitalism, the republics began to take on the political and economic characteristics of Arab monarchies. In seeking to emulate the monarchies, however, the republics failed to adjust their people’s level of expectation. The monarchies did not promise their people a welfare state nor to liberate Palestine nor to confront the West. The monarchies cultivated positive relations with the West, which secured foreign investment but also contributed to a partial settlement of the Palestine issue through negotiations. Even in those monarchies that didn’t have oil, standards of living were generally higher than republics with similar economies. In many ways, the kings and emirs were more honest with their peoples inasmuch as they didn’t attempt to sell them a pipe-dream; their policies suited the social, economic and geo-political circumstances of the countries they ruled, and not much more. The cautious and conservative policies adopted by the monarchies, based on gradual and organic change, would appear to be better suited to the conditions of societies newly emergent into modernity. The republics on the other hand maintained the rhetoric of the all-powerful, progressive state, and with it the apparatus of state repression, but they were neither able to deliver on the economic pledges that were part-and-parcel of the grand bargain, nor the military victories promised. The republics became accustomed to raising people’s levels of expectation, and by way of their construction, could not afford to lower those expectations lest people demanded political rights. They were, in essence, trapped by a rigid and deceitful rhetoric that was wearing thin. According to this interpretation, the monarchies did not really survive the Arab Spring since they were never in real danger of falling in the first place. Their peoples’ expectations were never that high to begin with, and so they were not judged according to a particularly harsh criterion. When seeking to explain why republican regimes fell and monarchies didn’t, the notion that uprisings swept across the Arab World is unhelpful. The facts are that uprisings only swept across Nasserite-type republics, and it is in the failures of these types of regimes that the roots of the Arab Spring lie. Egypt’s President Morsi is going head to head with the country’s judiciary after issuing a decree severely limiting their powers to rein in the Muslim Brotherhood. Critics have called the move a brazen power grab; admirers call it a “revolutionary decision.” Both sides will agree, however, that the announcement will only further polarize an Egyptian society struggling to reach a consensus on how to proceed after Mubarak’s fall. The main cleavage is one of Islamists versus non-Islamists. The Egyptian president belongs to the Muslim Brotherhood (MB), the largest Islamist group, which claims that it has a popular mandate to implement the much-vaunted “renaissance project.” Ranged against him are liberals, leftists, and former regime elements entrenched in state institutions. The Brotherhood may have won nearly half of all parliamentary seats in the November 2011 election, but the margin of Morsi’s presidential victory over his secular rival was a far more modest 51.7 percent against 48.3 percent. Such a slim majority might not have been considered problematic had Morsi adopted a consensual style of leadership. But Morsi has favored a more aggressive, winner-takes-all approach that not only risks plunging Egypt into further turmoil, but also marks him out as a distinctly unoriginal Islamist. Take his handling of the Constituent Assembly, the body tasked with drafting a new constitution. Having already stuffed it with his own supporters to ensure a favorable outcome—a presidential system with limited role for the legislature—it risked falling apart after prominent secular and Coptic members walked out earlier this month. The controversy-prone body was already beset by questions over its legitimacy after the Supreme Constitutional Court (SCC) deemed the Islamist-majority upper and lower houses of Parliament (on whose basis the Constituent Assembly was formed) unconstitutional, albeit on a technicality. In April 2012, the SCC again played the role of spoiler by ruling that the first Constituent Assembly was unconstitutional on the grounds of its non-inclusiveness, and was expected to pass a similar judgment on the current constituent assembly at the end of the month. In an address to his supporters, the Egyptian president said that his decision was meant to stop “weevils” from the former regime from blocking progress. It is true that judges at the SCC have been overly active in recent months, frustrating the drafting of a new constitution—which will pave the way for new parliamentary elections that observers expect would be won by the Islamists. That a small and unelected clique at the top of the judiciary should be disrupting Egypt’s democratic transition—and with it the MB’s consolidation of power—is a source of deep frustration for Morsi. Egypt’s judiciary has come under criticism too from grass-roots activists, who accuse it of not doing enough to convict security personnel accused of killing protesters during last year’s uprising. In the past three months, three trials have found policemen and thugs accused of killing protesters not guilty, much to the anger of the victims’ families. The latest trial verdict was announced on 22 November, the day of Morsi’s decree. It proved to be a convenient excuse to make a move against the judges. Had the Egyptian president stopped at replacing the Mubarak-era prosecutor-general, Abdel-Meguid Mahmoud, he might have come away with his reputation intact. The decree he issued, however, emasculated the judiciary by exempting both Morsi and bodies controlled by the MB from any judicial review for the next three months at the very least. This will give him ample time to steamroll through vital decisions on the country’s future unchecked by the judiciary. The protest held in Tahrir Square on 27 November against the decree drew a respectable quarter of a million people, and the secularists promised further actions in a political escalation seemingly coordinated with the country’s top judges. Egypt’s appeal courts have already gone on strike in protest at the decree, a move unlikely to promote conciliation in an unfolding constitutional civil war. Morsi’s battle with the judiciary follows a number of successful campaigns to curb the power of other bodies that threaten the MB’s rise. In recent months, editors of independent newspapers and high-ranking members of the press syndicate have decried attempts by Information Minister Salah Abdel-Maqsoud to limit their criticisms of the government. More recently, trade unions have complained that another MB appointee, the Manpower Minister Ahmed Hassan El-Borai, was attempting to “Brotherhoodize” the unions through a presidential decree that allows the government to appoint board members of unions. Time and time again, Muslim Brotherhood organizations across the Arab word have missed opportunities to build a durable and broad-based consensus for change and reform. Whether by inexperience or design, their policies tended to deepen division and make differences more irreconcilable. Where they have bucked this trend it has been under duress, as is the case in Morocco. Critics say that this raises serious doubts over the MB’s commitment to an inclusive democratic process in which compromise and consensus are essential pre-requisites. But the bottom line for MB leaders like Morsi is that they feel no moral duty to make concessions to those that have been part-and-parcel of a system that has victimized the group and denied them their rightful place in Egyptian politics. The fact that a former foreign minister under Mubarak, Amr Mousa, should now emerge as the MB’s most vocal critic merely serves to delegitimize the opposition in MB eyes, and renders its calls for greater inclusiveness all the more hypocritical. Amidst these claims and counter-claims, in Egypt what appears to matter is not so much changing the rules of power than the affiliations of those who have it—and who therefore enjoys its spoils. It is a zero-sum game where enemies must be crushed and power sought and accumulated for its own sake. Prominent MB member Ali Abdel-Fattah did not recognize the irony when he brushed aside criticisms of Morsi by citing Gamal Abdel-Nasser as an example of a president who resorted to extraordinary decrees under the pretext of defending a revolution. “As long as [Morsi] is democratically elected,” he said, “he has all the right to issue such a declaration.” Before it was secularists side-lining Islamists, now it will be the other way around. Egypt will not go the way of Zimbabwe by having ‘one man, one vote, one time.’ Nor will it go the way of Syria, thanks to a military that has preferred to remain above the fray. But there will be more protests, more disorder and more economic loss. A badly needed USD4.8 billion loan from the IMF has already been delayed because of the most recent instability, and the Cairo stock market plummeted for a second time in a single week. That has not put off the combatants. The Supreme Constitutional Court announced that it was going ahead with plans to rule on 2 December on whether to dissolve the MB-dominated Constituent Assembly that has drafted the new constitution. That same assembly has since approved the draft constitution, which paved the way for a referendum. The battle for Egypt’s future goes on.